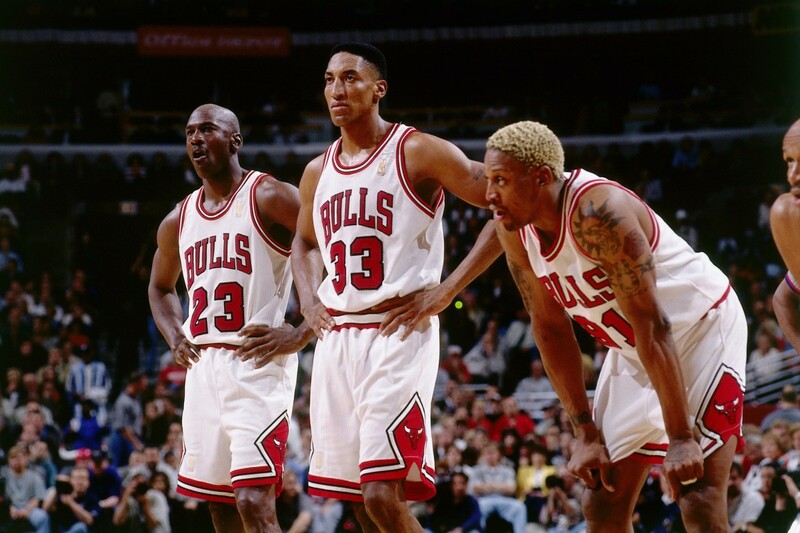 Left to Right: (front row): Luc Longley, Dennis Rodman, Michael Jordan, Scottie Pippen, Ron Harper. 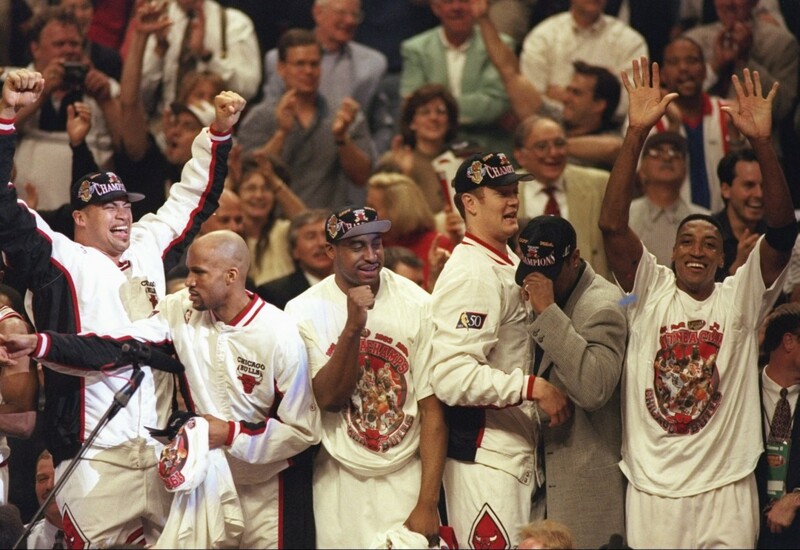 (middle row): Jud Buechler, Jason Caffey, Toni Kukoc, Bill Wennington, Robert Parish, Dickey Simpkins, Steve Kerr, Randy Brown. 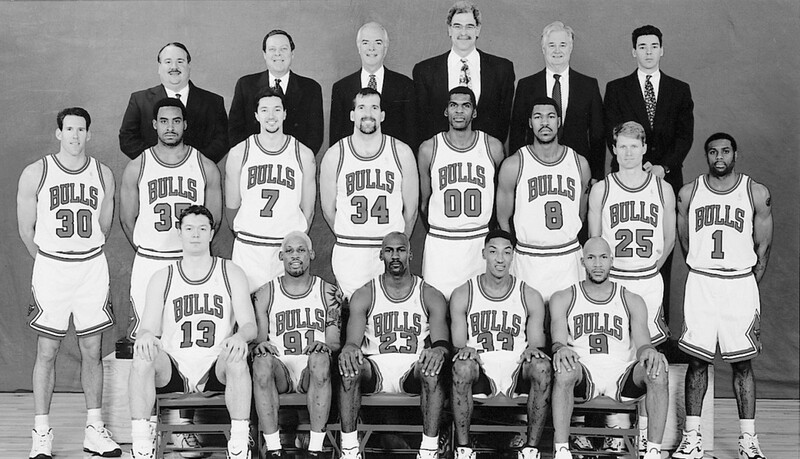 (back row): Equipment Manager John Ligmanowski, Assistant Coach Frank Hamblen, Assistant Coach Jimmy Rodgers, Head Coach Phil Jackson, Assistant Coach Tex Winter, Trainer Chip Schaefer. 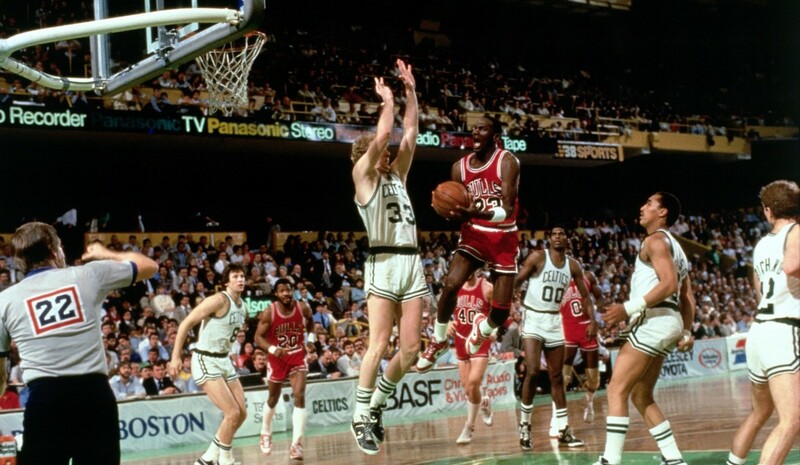 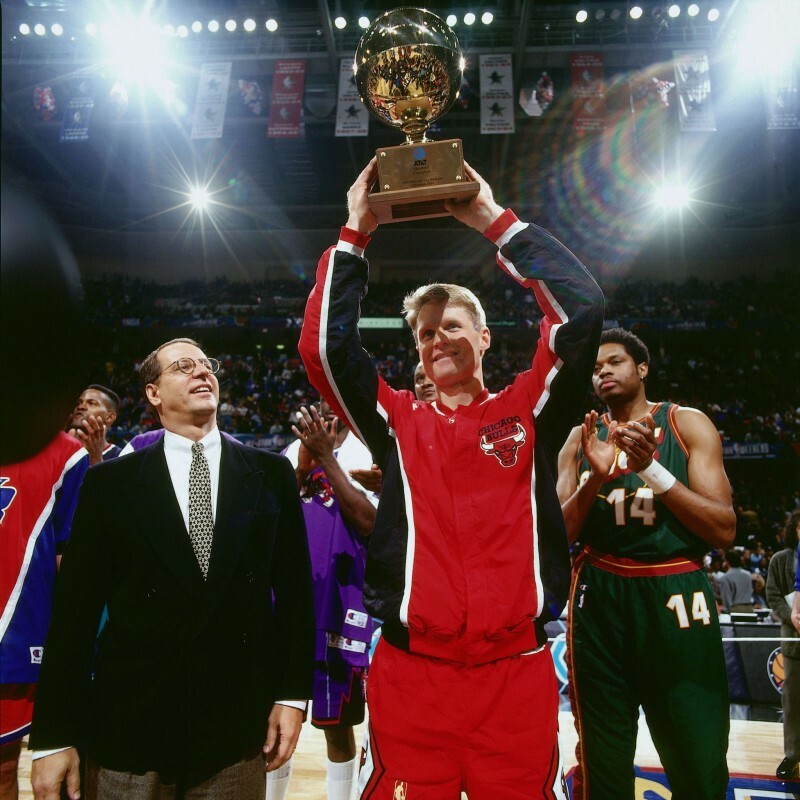 Not pictured: Brian Williams and Assistant Coach Bill Cartwright. 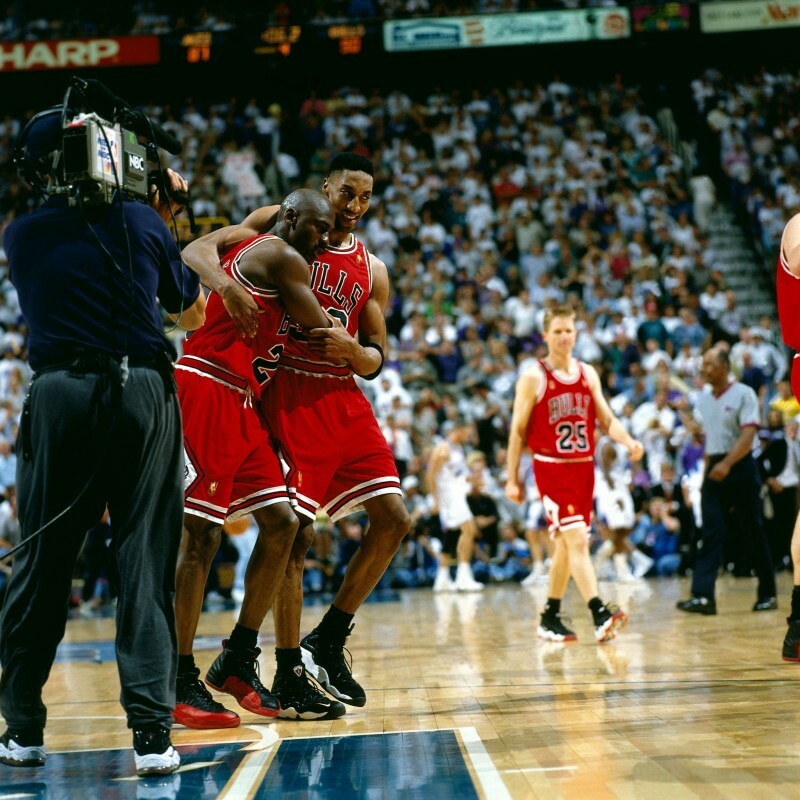 Finished season at 69-13, tying the 1971-72 L.A. Lakers for the second-best regular season record in NBA history ... set club record for most consecutive games won at the start of the sea- son (12-0) ... Bulls reached the 100-win milestone at the United Center on 03/22/97 with a 103-88 victory over Detroit ... surpassed the 1966-68 Philadelphia 76ers and the 1984-86 Boston Celtics for most wins in back-to-back seasons with a record of 131-19 ... Jordan set a club record for most starts (11) in season openers ... Jordan scored his 25,000th career point on 11/30/96 at San Antonio, reaching the plateau faster than any player in NBA history except Wilt Chamberlain ... on 04/06/97 at Orlando, Jordan scored his 26,711th point, passing Oscar Robertson for fifth place on the NBA’s all-time scoring list ... Robert Parish played his NBA-record 21st season ... Dennis Rodman grabbed his 10,000th career rebound vs. Washington on 01/14/97 to become the 24th player in league history to reach the milestone ... Jordan, Pippen and Parish named to NBA’s 50 all-time greatest players list ... Phil Jackson named as one of the league’s all-time 10 greatest coaches ... Pippen (35), Toni Kukoc (31) and Jordan (30) became the first Bulls to score 30-plus points in the same game on 12/17/96 vs. L.A. Lakers. 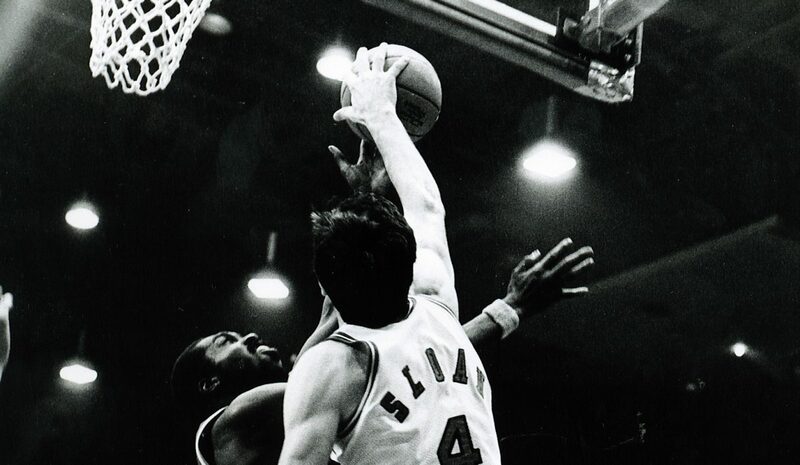 First round, Travis Knight (Connecticut). 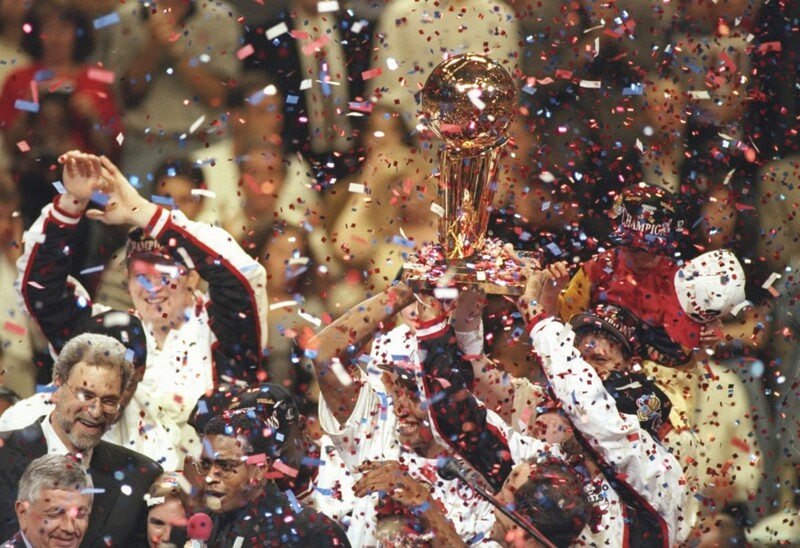 Won franchise’s second consecutive and fifth NBA title in seven years by defeating Utah 4-2 in the NBA Finals ... swept Washington 3-0 in the first round ... defeated Atlanta 4-1 in Eastern Conference Semifinals ... defeated Miami 4-1 in Eastern Conference Finals. 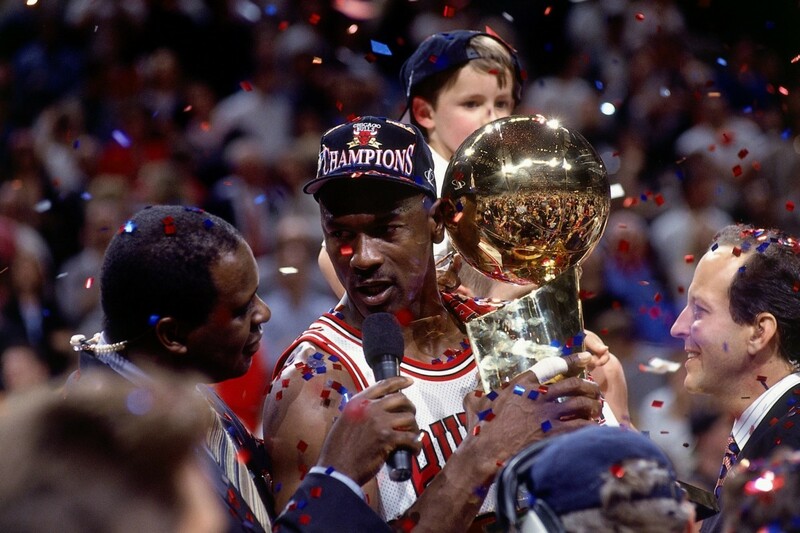 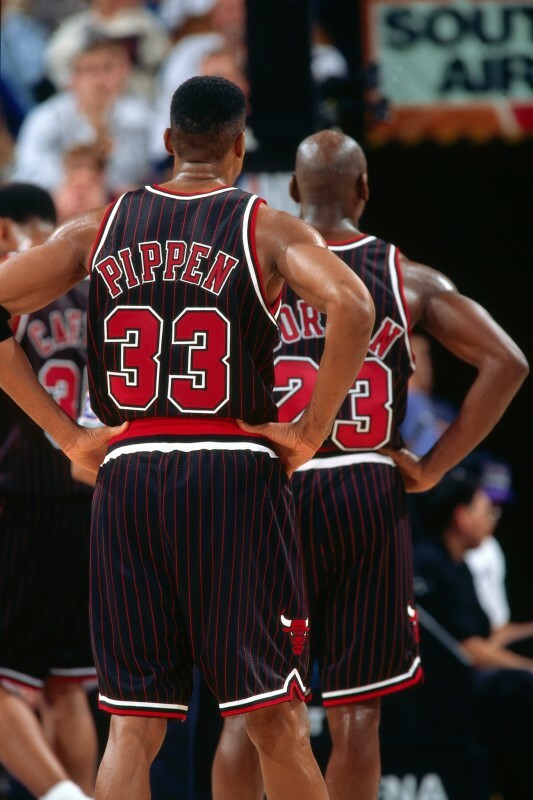 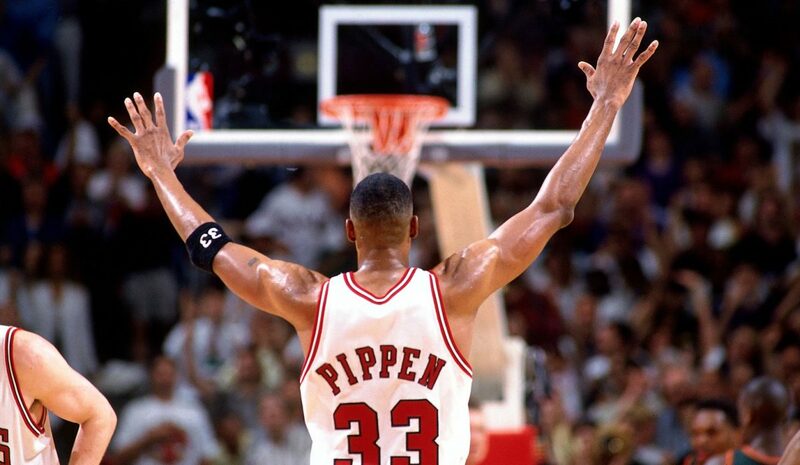 Michael Jordan captured his ninth scoring title with a 29.6 average ... Jordan named to NBA All- Star Team for the 11th time and chosen as 1997 NBA Finals MVP ... Dennis Rodman captured sixth consecu- tive rebounding title with a 16.1 average ... Scottie Pippen named a starter to the 1997 NBA All-Star Game ... Jordan and Pippen selected to 1996-97 All-NBA First Team ... Jordan and Pippen selected to 1996-97 NBA All-Defensive Team ... Jordan became the first player in NBA history to record a triple-double in an NBA All- Star Game (14 points, 11 rebounds and 11 assists) ... Steve Kerr won the AT&T Shootout during NBA All-Star Weekend...Bulls' home sellout streak reached 489.